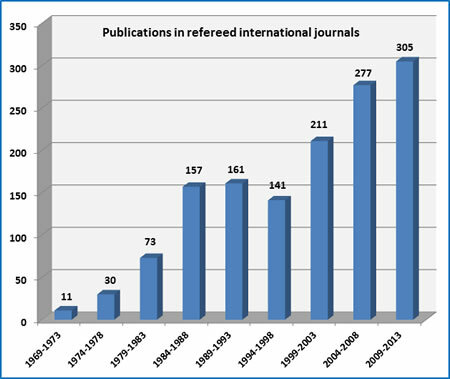 Publications in refereed international journals over 5-year periods. Publications before 1980 correspond to the Centers of Physical Chemistry (est. 1968) and Theoretical Chemistry (est. 1976), which merged in 1979 to the Theoretical and Physical Chemistry Institute. The number of research staff remained practically constant over the last twenty five years (average: 19).